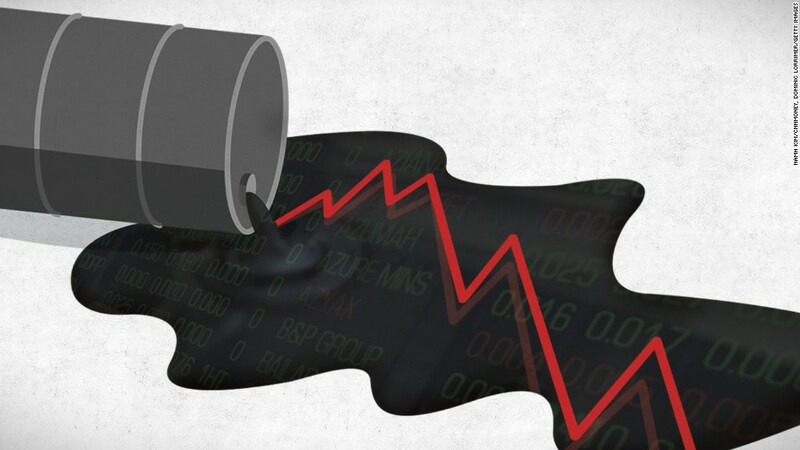 Oil prices started the last week of the year by falling hard after a brief rally. Crude declined more than 3% Monday to trade below $37 a barrel. Crude had topped $38 per barrel on Thursday, the highest it has been since it started the month above $41. Oil is down more than 11% for the month and is hovering around seven-year lows amid a glut of production and weak demand in China. Traders in Asia were citing reports from Iran's official news agency IRNA that quoted government officials reiterating the country's goal to increase production by 500,000 barrels a day in 2016. Iran is set to reenter the global oil market when economic sanctions are lifted by the West. Some traders wondered what the fuss is about, saying that Iran had already telegraphed that it expected to raise production by 500,000 barrels a day. "This is very much already priced in the market, and what will matter at this stage will be the actual levels above or below this mark," Naeem Aslam of AvaTrade wrote early Monday. OPEC recently decided to maintain production levels despite calls for a production cut to stabilize prices. But prices keep heading south, which is good news for drivers but not for economies dependent on oil prices.